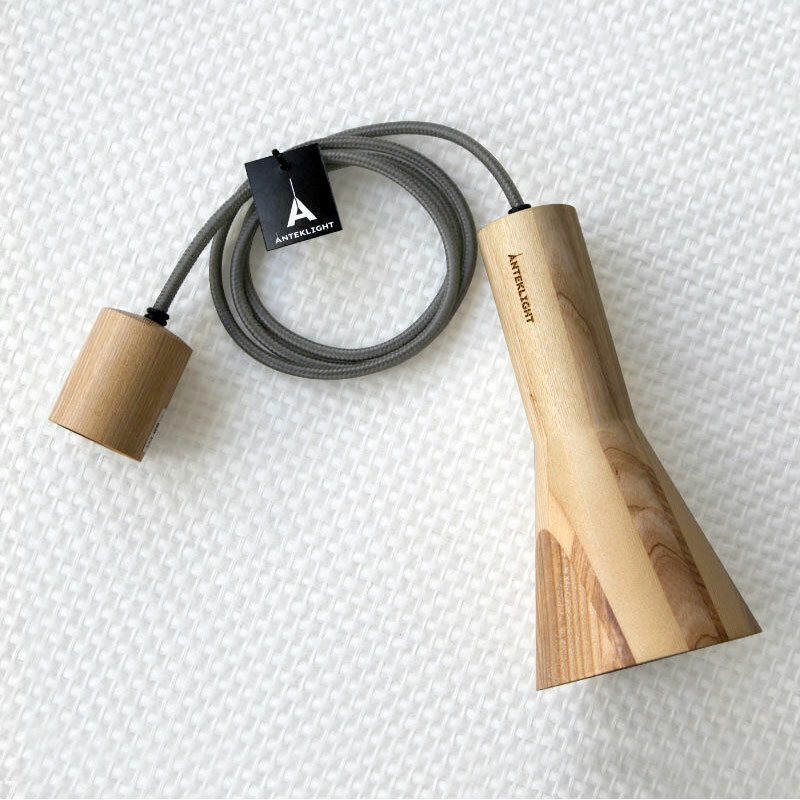 Antek Cone with grey cord fits perfectly in spaces as dining room, kitchen and places where we want to get a warm, homey ambience. The bulb is hidden inside lampsahde so the beam of light is directed downward, to the table. 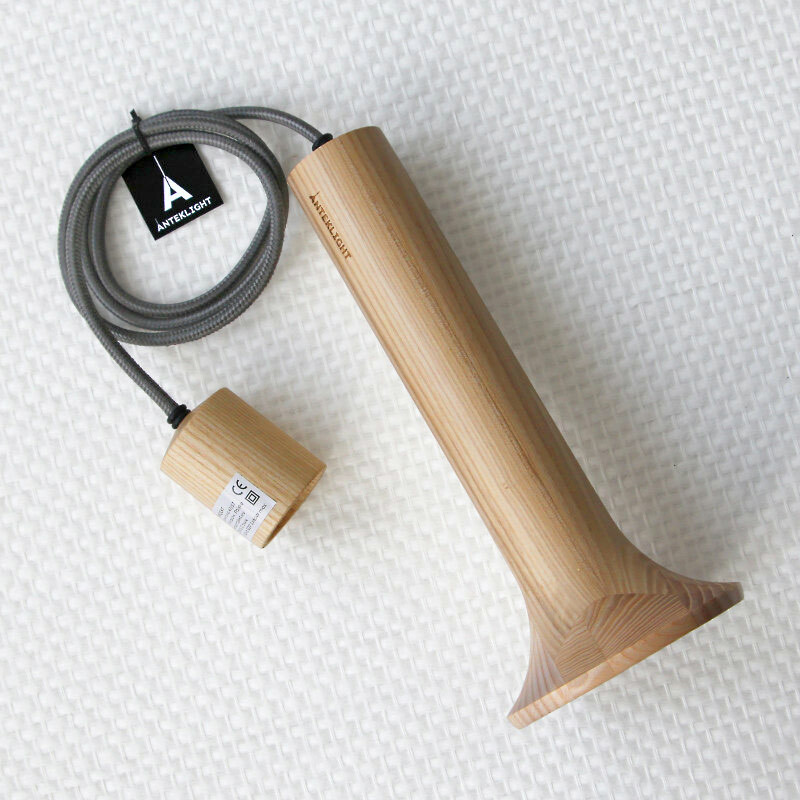 The lampshade is made of an ash wood with delicate, natural pattern. It can easily match with other objects of interior. 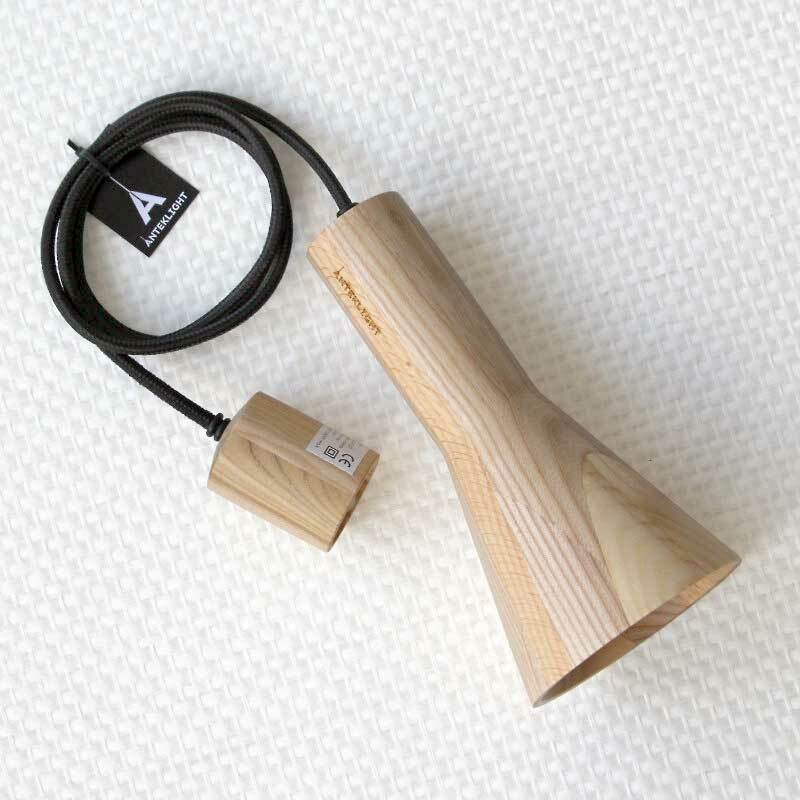 Anteklight with a black cord will fit into the interiors that used materials such steel, wood, black & white coverings, pastel or vivid colors ( eg. walls, details, equipment). 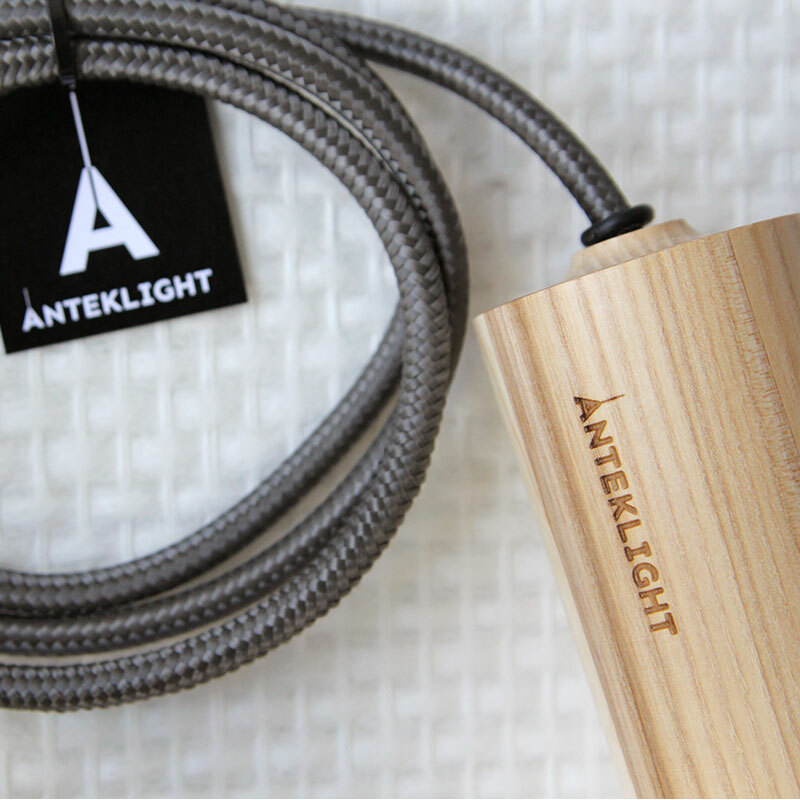 Anteklight is being produced since 2014, in a heart of Europe. 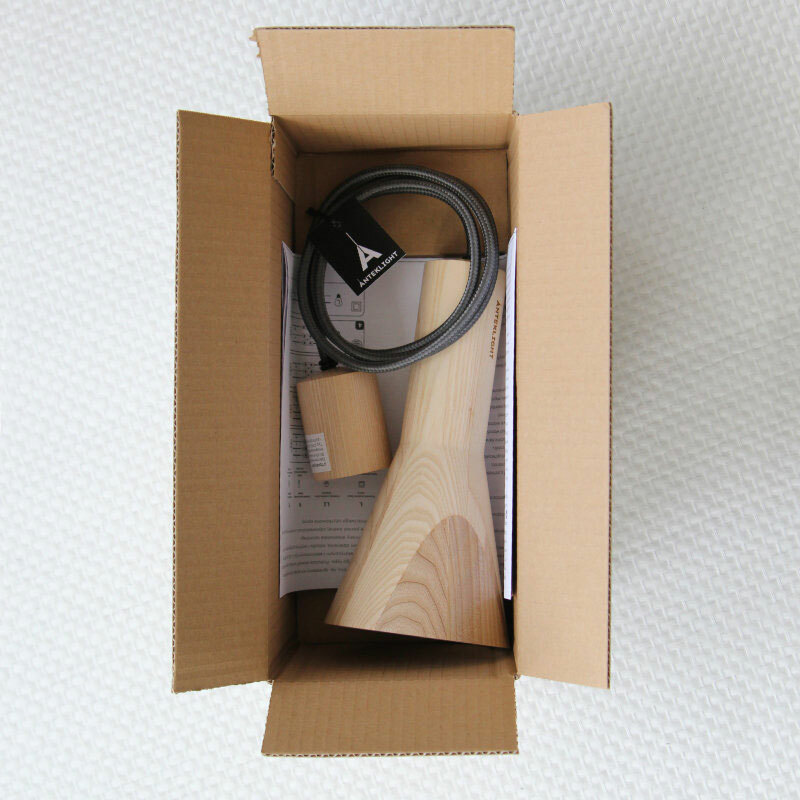 It is a product with unique and timeless character. Thanks to that it creates cozy and warm atmosphere in interior, where it is placed. 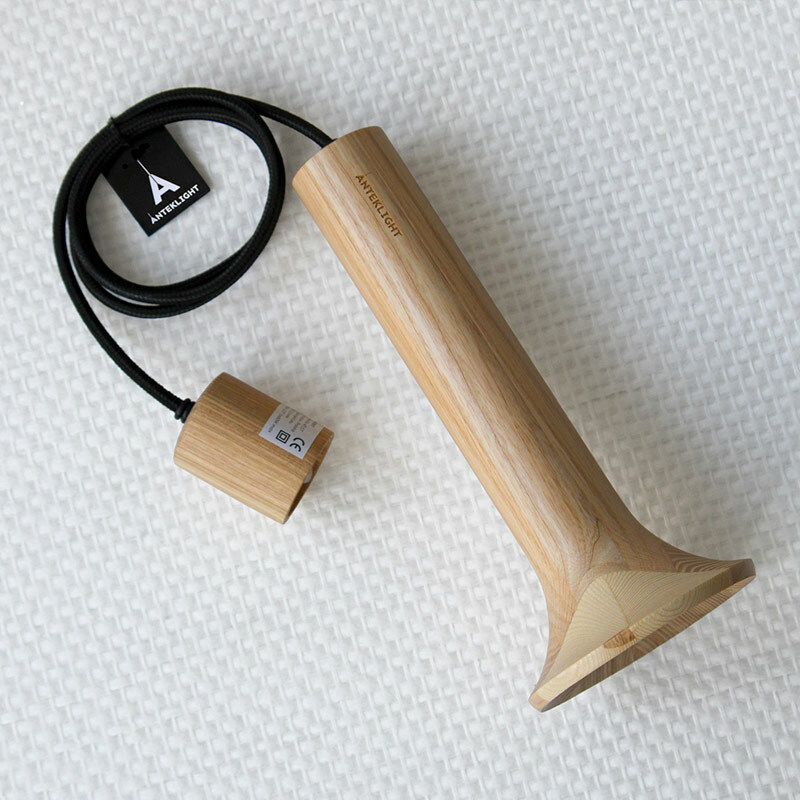 Please contact us directly to buy Anteklight from outside Europe. All Anteklights are certified with CE Cetrificate. For the safety of wooden lampshades we recommend using LED bulbs only. Standard product is sold without bulb.